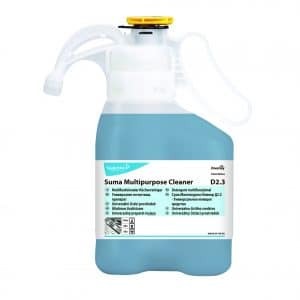 Cleaning products, like hard surface cleaner or food safe sanitiser, are vitally important to ensure a safe and hygienic foodservice operation. For obvious reasons, they require packaging that is both robust and practical, which in the absence of an alternative material is currently plastic. In an environment where businesses and consumers are looking to reduce their plastic waste, what can be done to ensure that the plastic used in the production and delivery of cleaning products is kept to a minimum? Well, our partner supplier of cleaning products, Diversey, says their approach for a long time has been to reduce the amount of packaging used in their cleaning products. They do this by producing as many cleaning products as possible in ultra-concentrate formulations. More product, for more cleaning, is contained in any given pack size and water is added at the point of use rather than the point of manufacture. This not only reduces the total amount of packaging required to support a cleaning operation but also minimises transport, storage and handling costs. 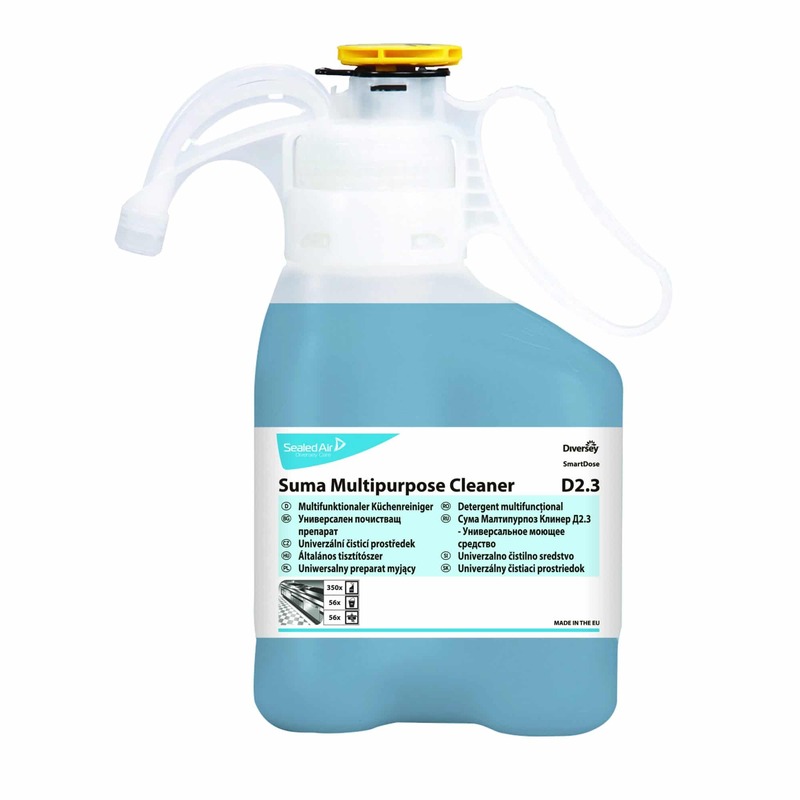 In fact, just one 1.4 litre container of their SmartDose hard surface cleaner can prepare 280 standard 500ml trigger-spray bottles. Because these bottles are used time and time again there is no need to throw them away which means no wasted plastic. Choosing the same number of ready-to-use spray bottles would mean a lot more packaging, transport and handling to worry about. Diversey’s research and development teams are always working on ways of making the systems even more efficient so that the same amount of product goes even further in the future. They are also looking at the materials they use in the packaging in the first place, with 30 per cent of their packaging in the US is made from recycled plastics. The SmartDose container – like much of Diversey’s packaging is recyclable. For more information on our cleaning product solutions please contact us today. “Scent Technology” taking the hospitality and catering industry by storm. EcoShell® is a non-aerosol air freshener from Vectair Systems, which utilises ‘clip and go, clip and throw' technology. Hotels have a clear legal duty to make sure that food served or sold to customers is safe to eat.